Size: Length: girth:46cm 5cm. Shell Pendant Size:1.9cm. Type: Necklace. Great accessory and decoration for your daily and formal dress. It's a perfect accessory, also a good gift to your friends It will make you beautiful on picture. This pendant made by brass & 24k gold electroplating with Crystal Quartz & Turquoise stones for make it more glossy and shiny. We have the specially designed for superb styling. It's make good gift for your loving one. 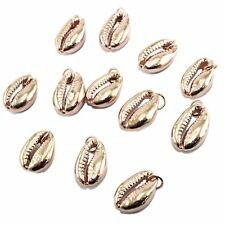 Size:Chain Length:40cm 5cm (Adjustable) ;Pendant Size:2.2cm. Type: Necklace. 1 x Necklace. Great accessory and decoration for your daily and formal dress. It's a perfect accessory, also a good gift to your friends It will make you beautiful on picture. Type: Necklace. Pendant Size:2.2cm. Size: Chain Length:40cm 5cm (Adjustable). Great accessory and decoration for your daily and formal dress. It's a perfect accessory, also a good gift to your friends It will make you beautiful on picture. 14mm Natural Sea Black Round South Sea shell Pearl Bead Pendant Neckalce 18"
Size : 14mm. Material: Shell pearl. 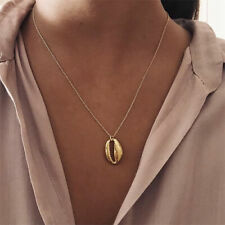 Style: Pendant. Due to the difference between different monitors, the picture may not reflect the actual color of the item. We believe that a good communication will be helpful for solving the problems. Most issues can be resolved with simple communication. Colors may appear different on each computer monitor. Size: 14mm. Material: Shell Pearl. 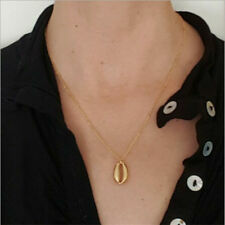 Style: Pendant. Due to the difference between different monitors, the picture may not reflect the actual color of the item. Material :shell pearl. Due to the difference between different monitors, the picture may not reflect the actual color of the item. Style :necklaces. We believe that a good communication will be helpful for solving the problems. Both are sparkling and glittery but one is known as a diamond substitute, the other as a naturally crystalline gem. Material: Quality Austrian crystal, natural shell, silver plated necklace as Pictures. Do not wear your jewelry in hot tubs and swimming pools. Take jewelry off when using laundry or cleaning products. 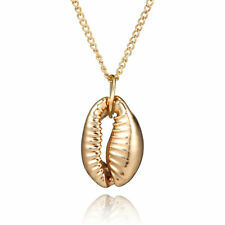 NEVER, NEVER clean it with bleach.Use jewelry cleaner and a soft cloth to clean your gold filled jewelry. Material: Quality Austrian crystal, white shell, gold plated necklace as Pictures. New trends necklace. 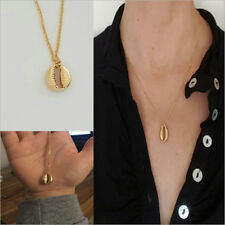 Size: necklace approx. 42 cm (16")with 6.0 cm Extender length. pendant 2.5 cm (1") length. Wish you have a great treasure hunting! 1 x Necklace. Size:Chain length 49cm/19.29" 62cm/24.41". Color:Photo Color. Size:ring about 9us ,chain about 17-18". Due to the difference between different monitors, the picture may not reflect the actual color of the item. We believe that a good communication will be helpful for solving the problems. Materials Alloy. Fit 9.5 4.2" inner setting. L W Thickness. Material: shell Pearl, Alloy. Good choice for gift or decoration. We will respond within 24-48 hours, in most cases sooner. Quantitiy: 1 set. Color: as picture shows. Elegant design and very beautiful. Most issues can be resolved with simple communication. Weight:about 25g(13pcs). Conch size:0.9 1.9cm. 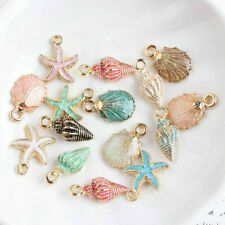 Sea shell size:1.2 1.8cm. Starfish size:1.3 1.7cm.